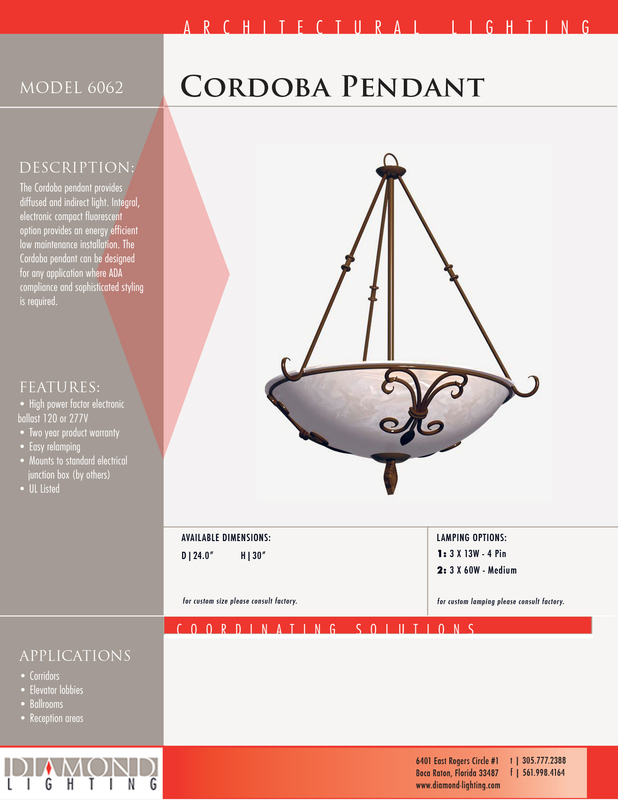 The Cordoba pendant provides diffused and indirect light. Integral, electronic compact fluorescent option provides an energy efficient low maintenance installation. The Cordoba can be designed for any application where ADA compliance and sophisticated styling is required.